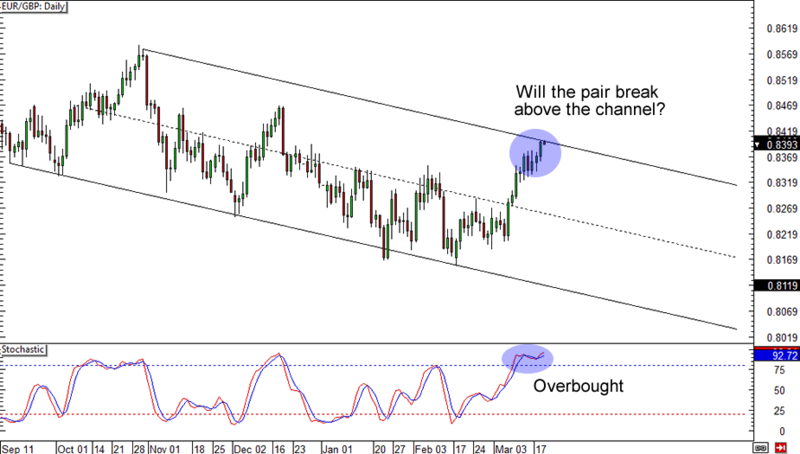 Let’s start with a sweet divergence setup on EUR/AUD! The pair is having trouble breaking below the 1.5250 area since it lines up nicely with a rising channel support on the 4-hour chart. Not only that, but there might be a bullish divergence in the works too! A stop just below the rising trend line could get you a sweet risk ratio if you think that the euro will reach the 1.5550 area against the Aussie. Not a fan of the euro? Here’s one for ya! 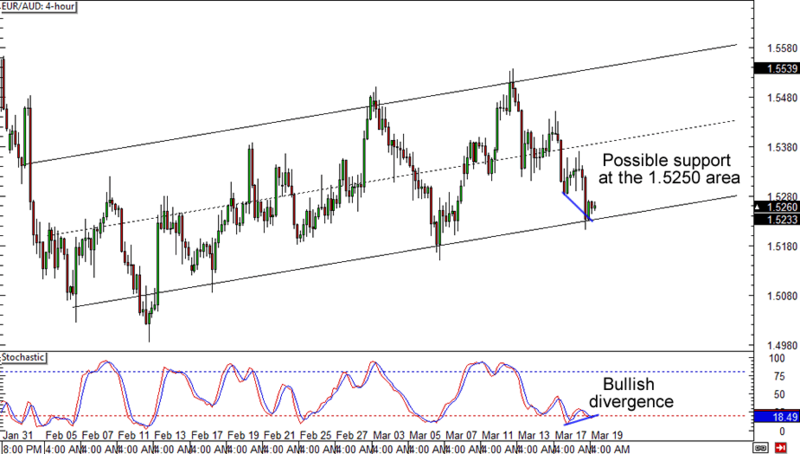 EUR/GBP is currently testing the .8400 area, a falling channel resistance on the daily chart. Stochastic is also on the bears’ side with its overbought signal. Waiting for a couple of bearish candlesticks or Stochastic to drop from the overbought territory is a good play for this setup in case the bulls succeed on breaking above the channel after all. Somebody holler at Happy Pip because this comdoll setup is too good to miss! 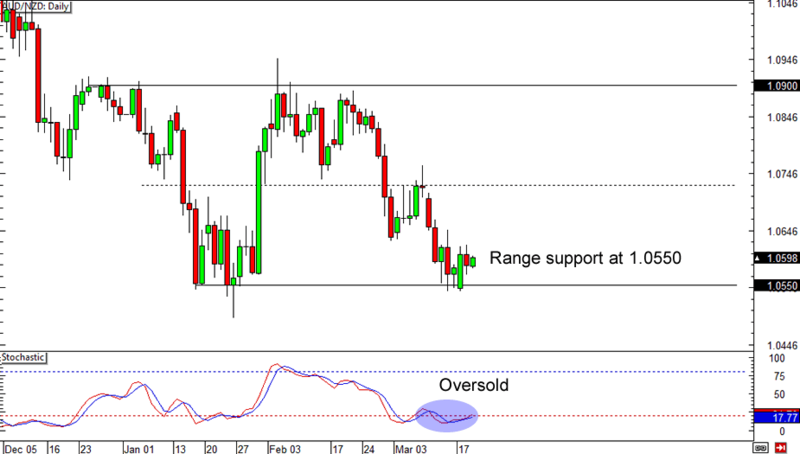 AUD/NZD is consolidating at the 1.0550-1.0600 area, which is right smack at a previous support. Will this hesitation lead to a range support play? A wide stop below the support zone could get you a good reward-to-risk ratio if you’re planning on buying the pair all the way to the 1.0900 psychological area.